Hello everyone. Jennifer, Jamie and Jodie from eighteen25 here and we couldn’t be more excited! We always love when Jen gets brought up in a conversation because no matter who it is, they always say the same thing. “I just love Jen, she’s so sweet” and we absolutely agree! 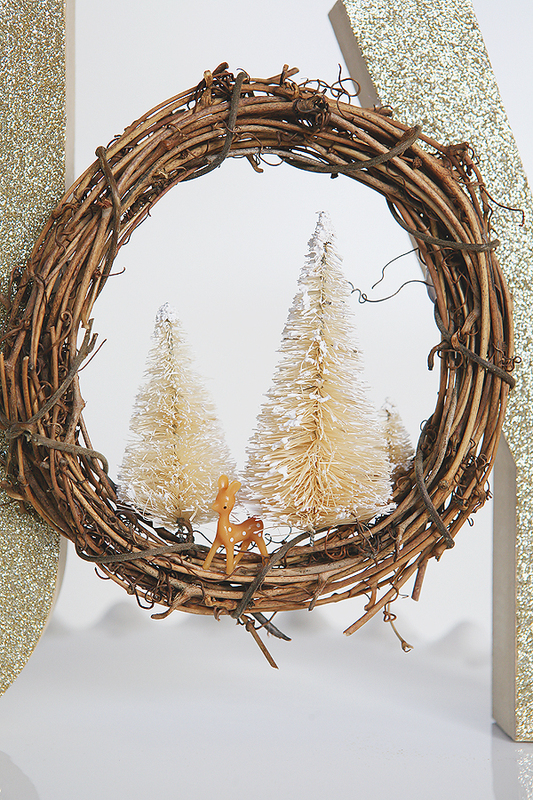 Today we are sharing our Glittered Woodland Decor. If there’s one thing we love, it’s GLITTER…. especially at Christmas. Another thing we love and always find fun is mixing something sparkly and shiny with something rough and natural. So we feel like we have the perfect combination here with our JOY letters. 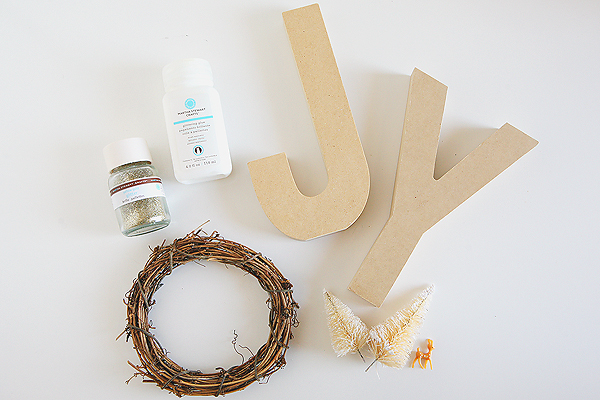 – Brush a coat of glitter glue onto your wood letters. We only did the tops. – Sprinkle the glitter over your letters and shake off the access. – While those are drying decorate your grapevine wreath. – The sisal trees came with little wood bases. We removed those and dipped the ends in the tacky glue and then stuck them down into the wreath where we wanted them. – We also dipped the deer feet into the glue and placed it where we wanted it. 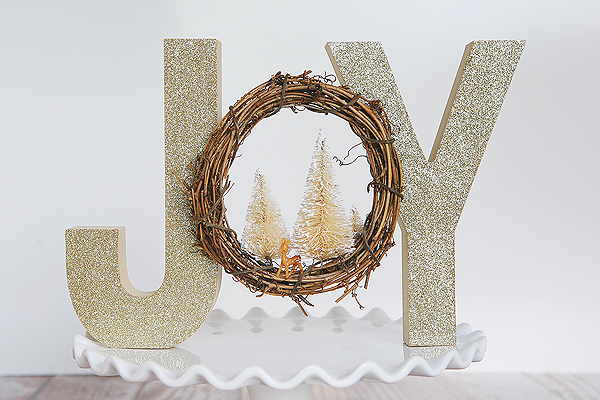 – Once all the glue is dry, hot glue your wreath onto the front of your letters. Now all that’s left is to find the perfect spot to display your JOY. We hope it’ll put a smile on your face like it does us. We’d love for you stop by and see us at eighteen25 some time. Happy Holidays! If you need a little help getting organized for the holidays, I love these fun Christmas Planners! So cute and such a great way to stay on top of all there is to do! I just love their all White Christmas tree for the Michael’s Dream Tree Challenge. Check out their post with all the ornament details here. And these Glittered Clothespin Snowflakes would be perfect for your tree, or just for a fun winter craft for the kids! 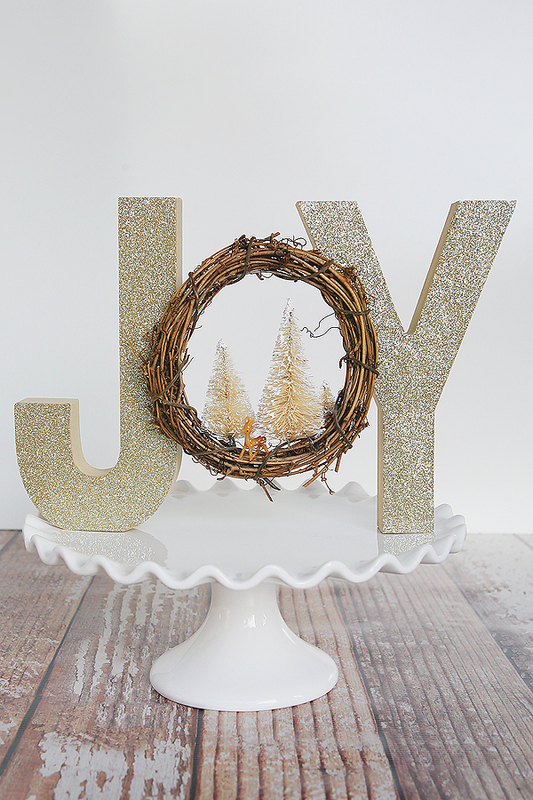 I love the glittered Joy letters! I would love to make something like that for my holiday mantel!